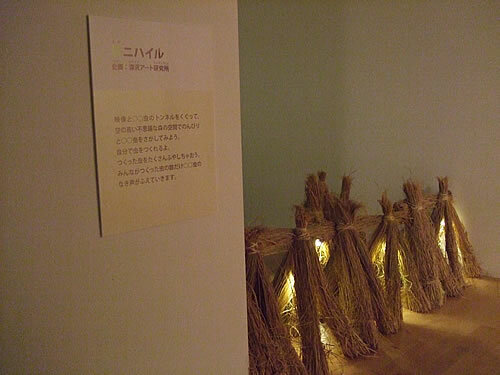 Hukazawa Art Laboratory created the art space where visitiors(mainly they are children) could experience the space and actually they could attend this installation. then, they copied the images into 16 smaller repeating images. Then they divided them into one each and sticked each of them wherevever they wanted inside the art space. the space was occupied with innumerable insects. It became a bit scary and spectacular view of funny insects or something. 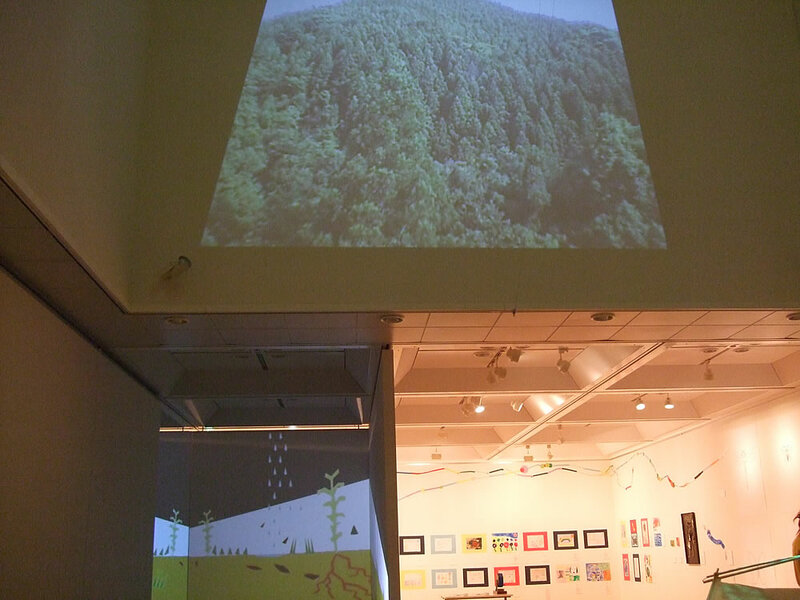 However, unfortunately, we lost the pictures of exhibition's ending. So I showed the pictures just after installing. 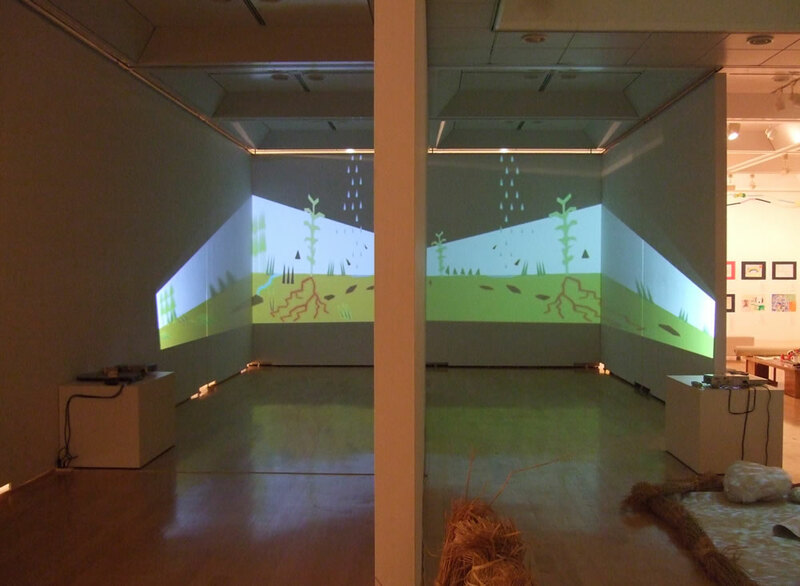 We made a narrow crooked path between bearing walls.Then we projected simple animations for the introduction. 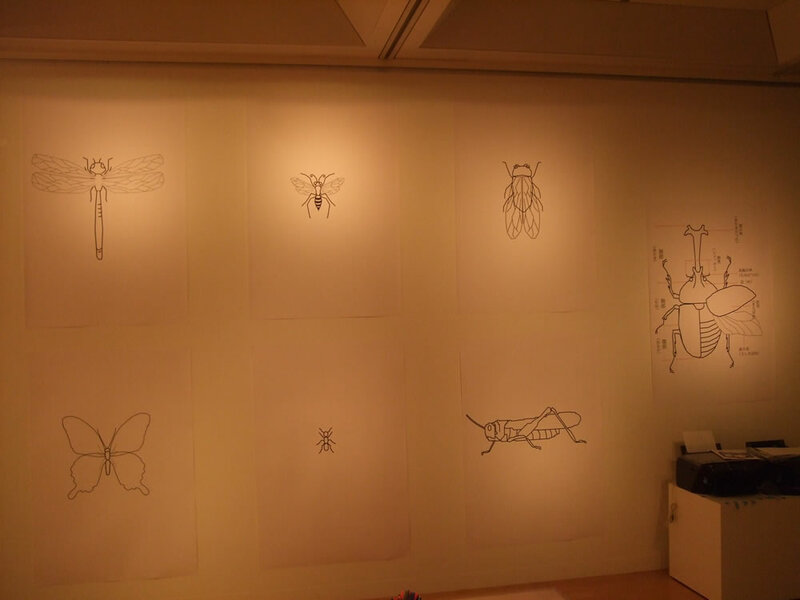 Also visitors could stick their small insects on the wall and animation. 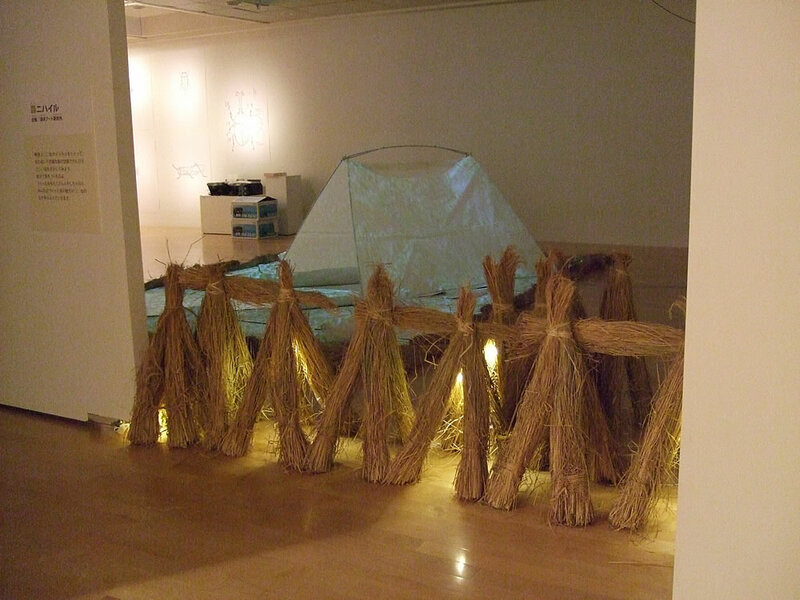 Camping site made by papers, straw etc. 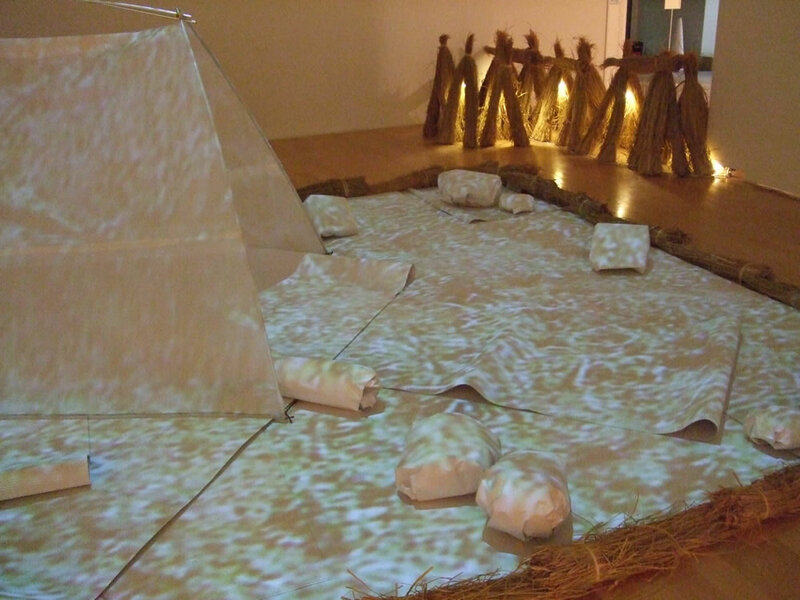 The straw scent was also the effective feature for this artificial nature. The workshop space for children. They could design their insect drawings, and use the copy machines and so on.